As with adult hair, children’s hair develops within a natural life cycle. A hair strand tends to grow actively for between two and six years, then the strand enters a resting (Telogen) phase. After about three months, the hair will fall out then a new strand will grow to replace it. 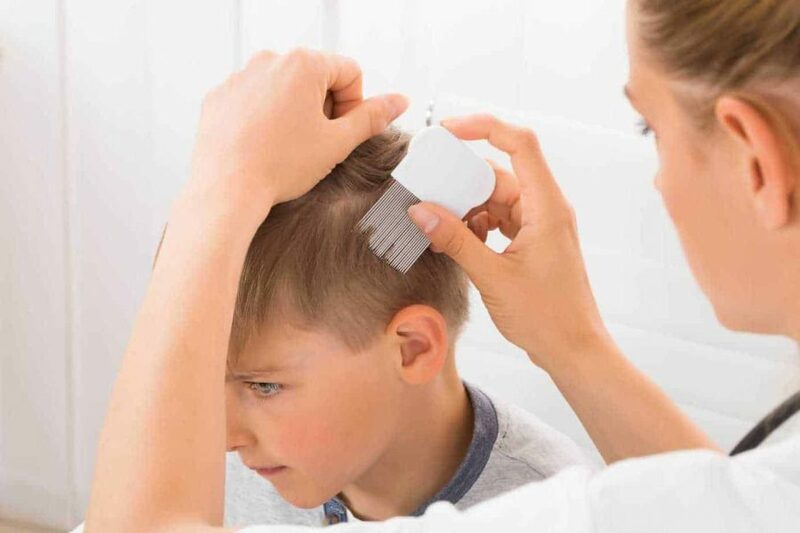 Some child hair loss is perfectly normal, however if your child seems to be losing a lot of hair, it could be down to an underlying health condition. What are the main reasons for childhood hair loss? If you notice that your child’s hair falls out in oval or round shaped patterns, it may be a sign of a condition known as alopecia areata. This condition causes a sudden loss of hair (just a few days) that leaves smooth, bald patches on the scalp. It is thought that this condition is caused by a child’s immune system. It is a fairly rare condition, only affecting about 1 in every 1,000 children. There is no cure but Dermatologists can prescribe medications to help promote hair growth. This is a ringworm variety which causes scalp lesions whilst also attacking hair. Tinea Capitis is a fungal infection, which also happens to be the most common cause of childhood hair loss. It particularly affects children of school age, as it is highly contagious. If you suspect that your child may have Tinea capitis, it’s best to visit your GP for confirmation. They are likely to examine your child’s scalp, using ultraviolet light to investigate and confirm if this is the reason. If your child is found to have Tinea capitis, they will be prescribed antifungal medication and a special shampoo, which they’ll need to use for around eight weeks. This condition causes a child’s hair growth cycle to become interrupted. Whilst only around 10% – 15% of a child’s hair is in the resting phase (Telogen phase) at one time, telogen effluvium causes a higher percentage or in fact all of the hairs to be in this phase at one time, potentially leading to periods of varying degrees of baldness. This condition can occur for a wide variety of different reasons such as excessive use of Vitamin A, stress from extreme fevers and medication side effects or injury. This problem tends to disappear naturally and often within a six to twelve month period. Children can cause actual physical stress to hair which goes on to cause hair loss. This is known in the medical profession as hair shaft trauma and can occur as a result of consistently pulling at and pulling out hair, excessive friction or chemical burns. Childhood hair loss can obviously be very worrying for parents but the key is to find the root of the problem as quickly as possible. Rely on medical professionals for help and ensure you provide your child with the support they need to get through what may be a distressing time for them.